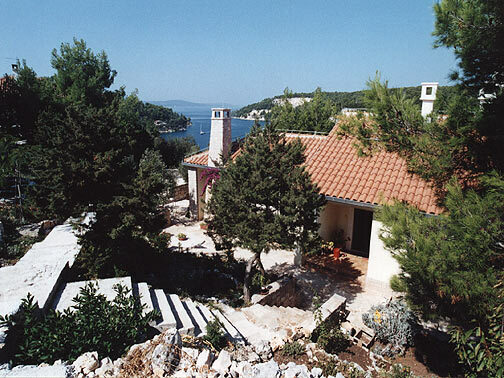 This spacious seaside villa is situated on the western coast of Brac island in the picturesque bay of Luka Bobovisca. This natural V shaped inlet boasts sparkling turquoise water and a small village at one end with a couple of restaurants. The property, which is approached from the rear, is situated in an elevated position overlooking the bay and consists of a beautifully manicured garden leading down to the main entrance; the L-shaped pool with sundeck is also located in this upper garden area to take advantage of the sunny position and stunning views. Guests enter into a spacious hallway and onto a large open plan kitchen / diner / lounge area with patio doors leading out onto a sea facing terrace. 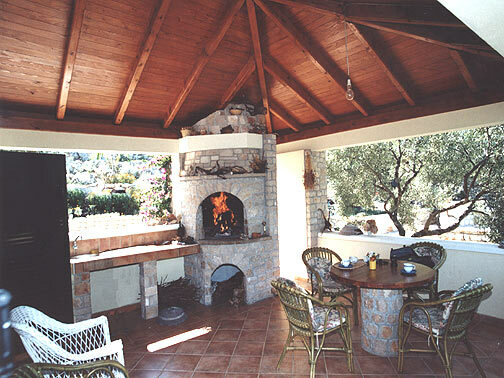 There is a further larger sea facing terrace leading off from the kitchen which provides an ideal outdoor entertaining area complete with wood burning BBQ and outdoor kitchen. The bedroom area consists of one double bedroom with a sea facing balcony, one double bedroom with garden view and a shower room. 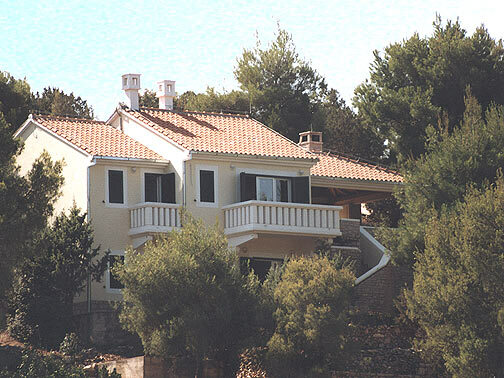 There are approximately 60 steps leading down to the sea from the villa so the property would not suit those experiencing walking difficulties. 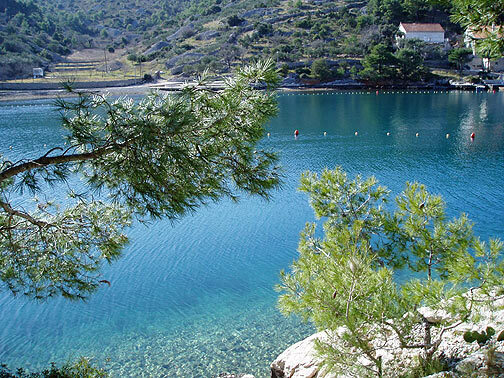 The property would suit a family or a group of friends looking to stay in a pretty location on one of Croatia’s most popular islands. 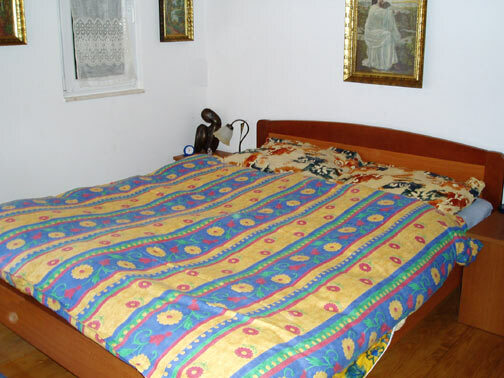 Rooms which have air-conditioning : The apartment is air-conditioned. Details on nearest shops : Small grocery store in Luka Bobovisca. Large supermarket in Supetar. Rental prices do not include residence tax or registation fees where applicable.